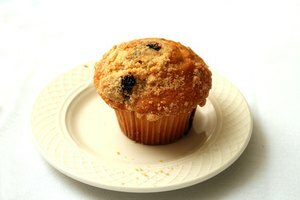 Few things are as satisfying as a freshly baked muffin with a cup of coffee in the morning and the knowledge that there are enough muffins to last for days. While the difference between a muffin and a cupcake might seem like a lack of frosting, muffins can actually pack a lot of nutrition if prepared right. Store-bought muffins are often coated with large sprinkles of sugar, and even muffin mixes hold enough calories to make up one quarter of a day's recommended 2,000-calorie diet. Try making muffins from scratch at home for a healthy muffin recipe that will sneak in some nutritional value at the same time. All-purpose flour is generally the best flour for muffins. There are, however, other options for those looking to add more nutrition to their breakfast. Almond flour is a great alternative muffin ingredient because it is made from finely ground almonds that provide more protein, vitamin E and healthy fat to a muffin recipe. Coconut flour is also an easy flour to swap in and is high in fiber. Other options like chickpea flour and quinoa flour, which are both high in protein, are more difficult for balancing the taste within a muffin recipe, so stick to almond or coconut flours. Try swapping in whole milk, as the full-fat content is a healthier option. Coconut oil is also an easy exchange in a muffin recipe. Coconut oil is a healthy fat and can help raise the good HDL cholesterol. The fatty acids in coconut oil are great for increasing brain function too. Be sure to use fresh added ingredients such as fresh blueberries, strawberries or raspberries as opposed to the dried variety. Dried fruits are exceptionally high in sugar and do not provide nutritional value. 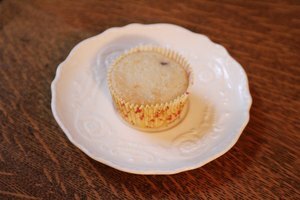 One of the most popular muffin recipes for blueberry muffins is by Allrecipes, but by swapping in healthy alternatives, the muffins are more nutritious. Using some of the best muffin ingredients for a high-quality bake, enjoy making muffins from scratch with this easy blueberry muffin recipe. Heat the oven to 400F. 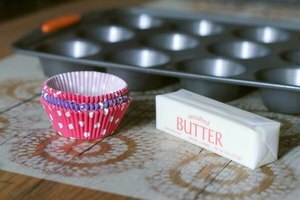 Line a muffin tin with paper liners or spray the tin with nonstick spray for baking. In a large mixing bowl, combine the milk, egg and coconut oil. Add the flour, baking powder and white sugar, combining thoroughly. Once the batter is mixed, gently fold in the blueberries with just a few careful strokes so as to avoid puncturing or mashing the blueberries. If the blueberries are broken, they will bleed into the batter and may cause discoloration. Use a large spoon to fill the muffin tin indentations three-quarters of the way up. Place the tin in the oven and bake for 20 minutes. To achieve the perfect dome on the muffin tops, heat the oven to slightly below 400F, around 380F. Just as the muffins go into the oven, raise the temperature to 400F. The additional heat will help the muffins to puff up just right. 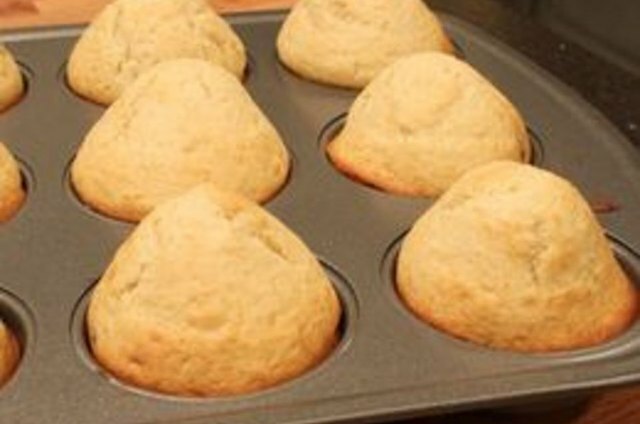 To make the best muffins from scratch, follow these tips to avoid missteps. Avoid overmixing the batter. 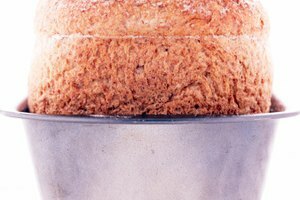 This builds up gluten proteins and can cause holes in the muffins. Ten to 12 strokes when mixing is a good number to stick to in order to prevent overmixing. If fresh berries are not a possibility, use frozen berries in the muffin recipe, but do not thaw them first. Add a tablespoon of flour to the frozen berries or any other added ingredient before adding them in as well. This will help the add-in to grab on to the batter rather than sink to the bottom of the muffins.